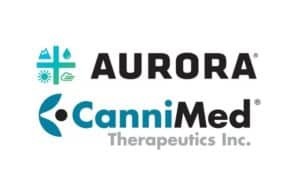 EDMONTON, March 28, 2018 /CNW/ – Aurora Cannabis Inc. (“Aurora” or the “Company”) (TSX: ACB) (OTCQB: ACBFF) (Frankfurt: 21P; WKN: A1C4WM) announced today that with the second take-up under its offer to acquire all of the outstanding shares of CanniMed Therapeutics Inc. (“CanniMed”) (TSX: CMED), the Company now owns approximately 95.9% of CanniMed common shares (the “CanniMed Shares”). The Company intends to acquire the remaining outstanding shares it does not already own through a compulsory share acquisition, pursuant to the Canada Business Corporations Act. We are delighted to have finalized the largest transaction to date in the cannabis industry. We are now combining CanniMed, the pioneer of the Canadian cannabis industry, with Aurora’s best practices, innovations, funded production capacity, distribution network, and rapidly growing international footprint. This acquisition and the resulting synergies transform Aurora into a leading company in the global medical cannabis space. We believe that our combined assets, capabilities, and brand strength, as well as our consistent execution, position us very well to gain significant share of the global market. We have commenced integrating the organizations, and look forward to reporting on our progress, innovations and other corporate developments in the coming months as we continue to execute our growth strategy. The Company has taken up approximately 23.5 million CanniMed Shares pursuant to Aurora’s November 24, 2017 bid for all of the outstanding shares of CanniMed (the “Offer”), representing 93.1% of the outstanding CanniMed Shares as of the expiry time of the Offer on March 24, 2018. Aurora issued approximately 69.3 million common shares and paid approximately $134 million for the CanniMed Shares taken-up. The Offer has now expired. Aurora now owns approximately 95.9% of the outstanding CanniMed Shares (including CanniMed Shares acquired in market purchases). CanniMed shareholders will have the opportunity to receive the same consideration in the subsequent acquisition transaction as they were entitled to receive from the Offer. 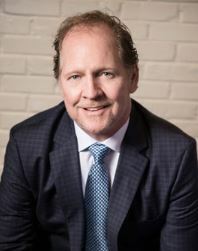 Following the completion of such subsequent acquisition transaction, Aurora intends for CanniMed to apply to the Toronto Stock Exchange (the “TSX”) to delist the CanniMed shares from trading on the TSX and, if permitted by applicable law, cause CanniMed to cease to be a reporting issuer (or equivalent) under applicable Canadian securities laws. Aurora anticipates completing the subsequent acquisition transaction and delisting towards the middle of the second calendar quarter of 2018.